One fine summer day the wife came home and dropped an ultimatum on me – take some time off for the family or else. Never one to be threatened by a good time I obediently put in for some time off and set to work planning a family road trip. Kind of. The truth is that I hate detailed planning of my time off, I’m much happier setting off in the general direction of my objective and finding random spontaneity along the way. Luckily, we both agreed on the end point being a visit to see family over the 4th of July in New Jersey with the rest of the trip being up to me so with ten days to burn we loaded up the Torque Wagon on a Thursday afternoon and set out from the Midwest for the East Coast. Leaving northern Illinois, the realities of the super slab quickly set in as we faced the debacle that is Chicago traffic head on. Moving south into Indiana we were hit with thundershowers and lightning as we made a bee-line for Ohio and our first night’s rest at Maumee Bay State Park. Arriving very late, our stay there was brief with a goal of maximizing sleep for the journey ahead and we drifted off to sleep listening to the monsoon rains beating on the roof of the Four Wheel Camper. On the road early and bound for western Pennsylvania, we dropped the hammer through Ohio and headed to the heart of Oil Country and Titusville where we peeled off from the highways in search of the forested glens and hemlock hollers of our long time friends at Clan Haggis. Mark and Michelle Collins are blessed to live deep in Penn’s Woods and their well known hospitality was in full effect as we dined on bear and other local victuals. 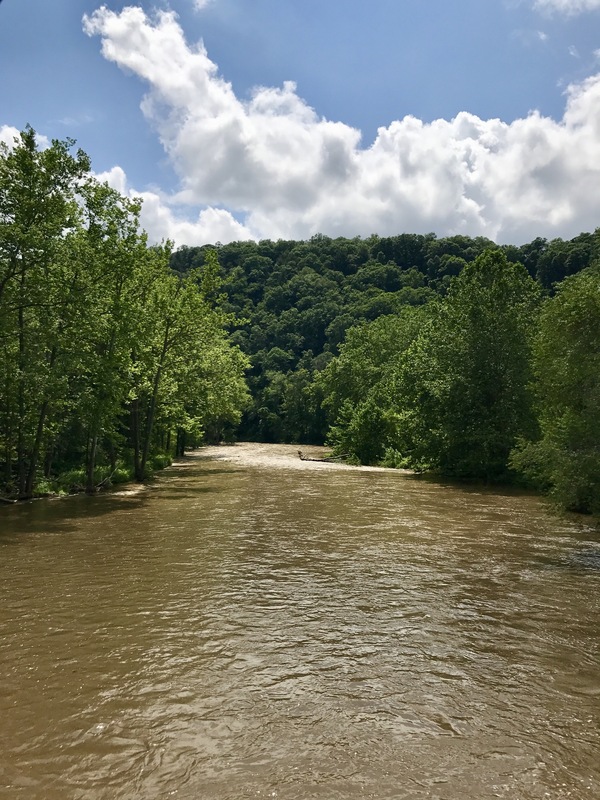 We camped in a quiet, forested spot next to the creek on their property and were met yet again with torrential rains as the storms rolled over the Clanhold. 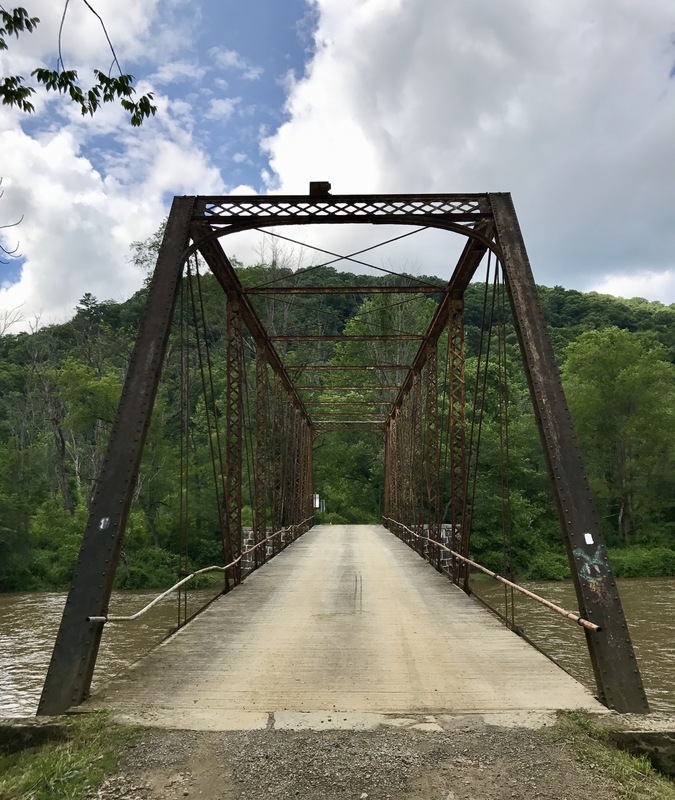 With a break in the weather, and their local knowledge, we were able to explore several sites around Oil Creek and learned first hand about America’s first Oil Rush in Pennsylvania. The rains continued to fall intermittently as they do in these parts and the Four Wheel camper once again provided an ideal shelter from the tempest outside. We awoke well rested in time for departure and bid farewell to the Clanhold as we made our way east to Washington D.C. for a windshield tour of our fair Capitol. 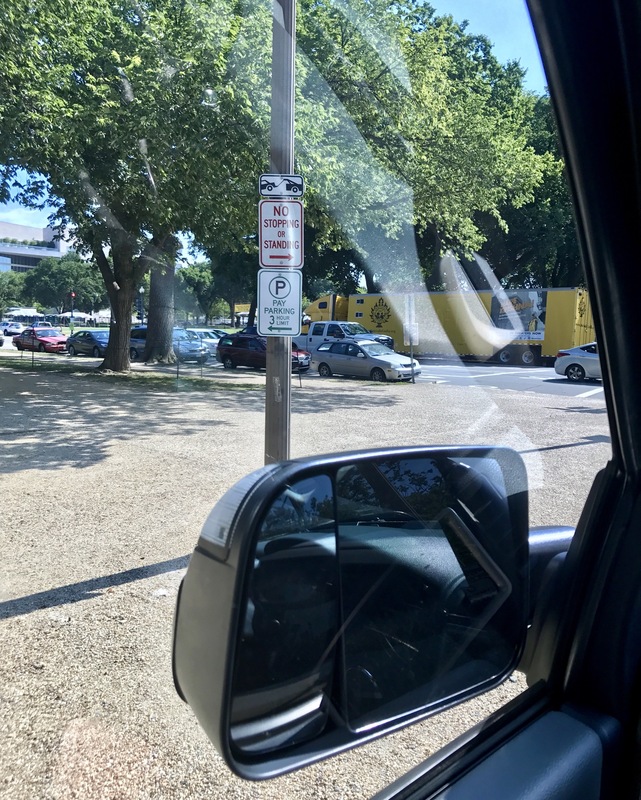 We had an immense stroke of good luck here as we rounded a corner on the National Mall and found the rarest of things in that City of Magnificent Intent, a parking spot. And one large enough for the Dodge Mahaul to boot. Ensuring the meter was paid, we dismounted and took in the sights of this national treasure. We stayed the night in Stafford, Virginia as guests at the Bleau Estate. Tim’s well known hospitality and penchant for cooking was well received by all as we were fed copious portions of some of the best food in Occupied Northern Virginia. This came in the form of shrimp and carnitas tacos for dinner and we spent a restful evening here, staying up late visiting before calling it a night. In the morning, Tim was at it again as we awoke to the smell of a French Toast breakfast feast fit for the Marquis de Lafayette himself. We considered trying to finagle a couple more days of this eat/sleep/eat routine out of our fine host but we decided to get back on the road before we wore out our welcome. Moving on, we set course for New Jersey and the Pinelands where family awaited our arrival. 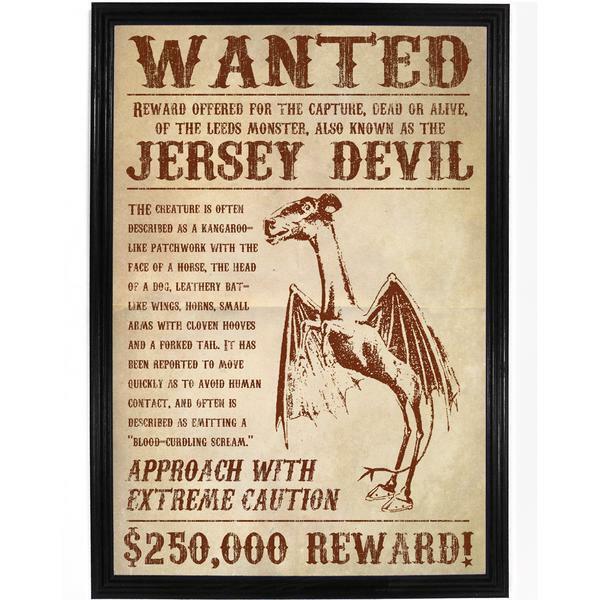 Contrary to what I was led to believe growing up out West, New Jersey has a lot to offer and is an amazingly beautiful state with some great food and culture as well. Our stay was amazing. 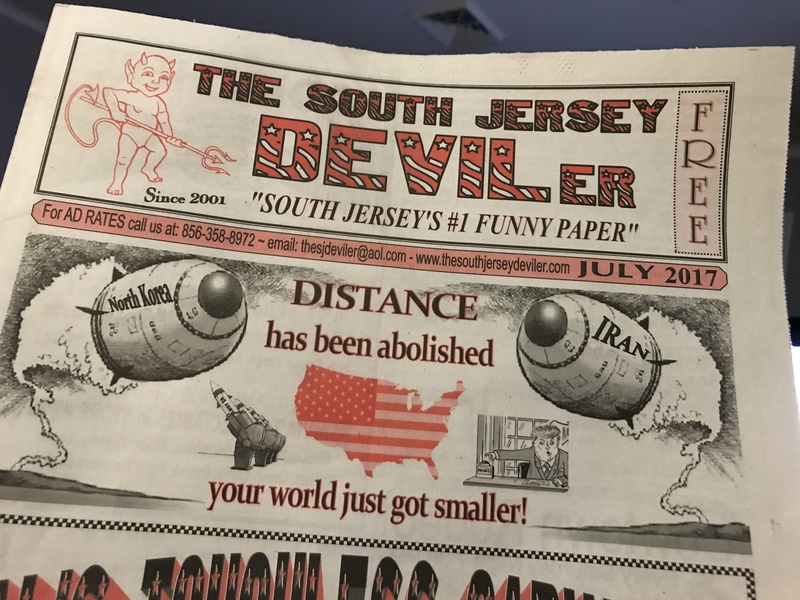 No visit here is complete without a visit to WaWa and some tongue in cheek humor courtesy of the South Jersey Deviler. If you know, you know. Our brief respite from the road over the 4th of July came to an end as we faced the reality that we had no further plans, and several days left to burn. Looking over some maps I drew my finger south from New Jersey all the way down to the Carolinas. My mind wandered as I realized it had been awhile since I had real sweet tea, pork tenderloin and Cheerwine. 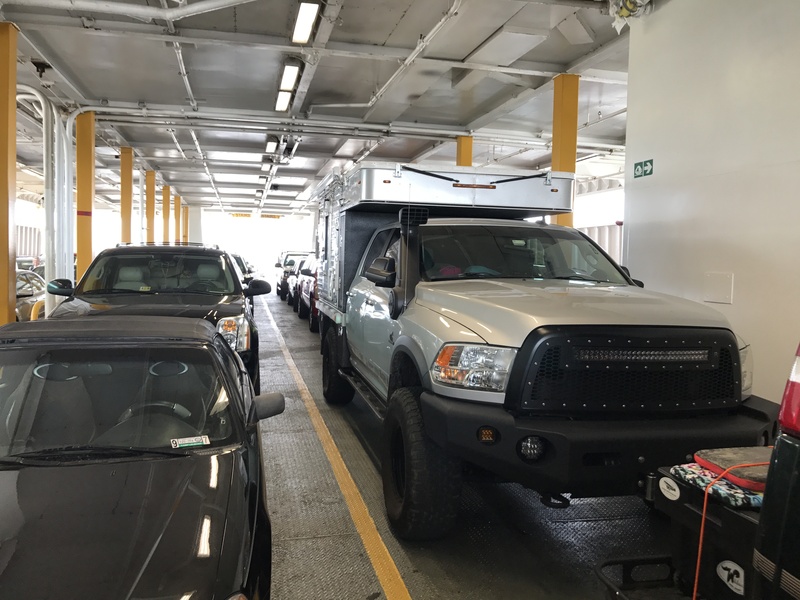 We decided to take a ferry from New Jersey to Delaware and drift as far south as possible over the next few days. 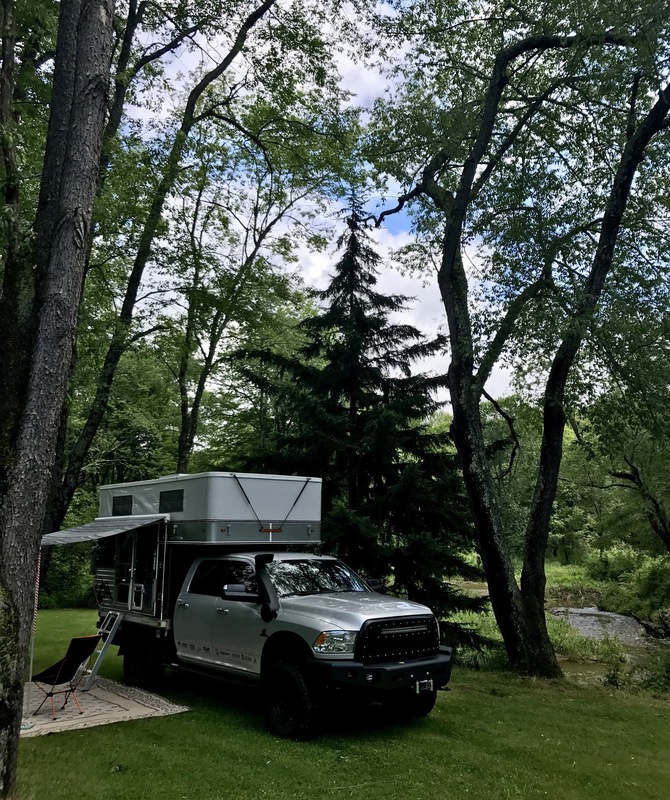 With fresh territory to explore in front of us I was chomping at the bit to get rolling so we said our goodbyes again and headed south through the forested backroads toward the Cape May ferry and Delaware. 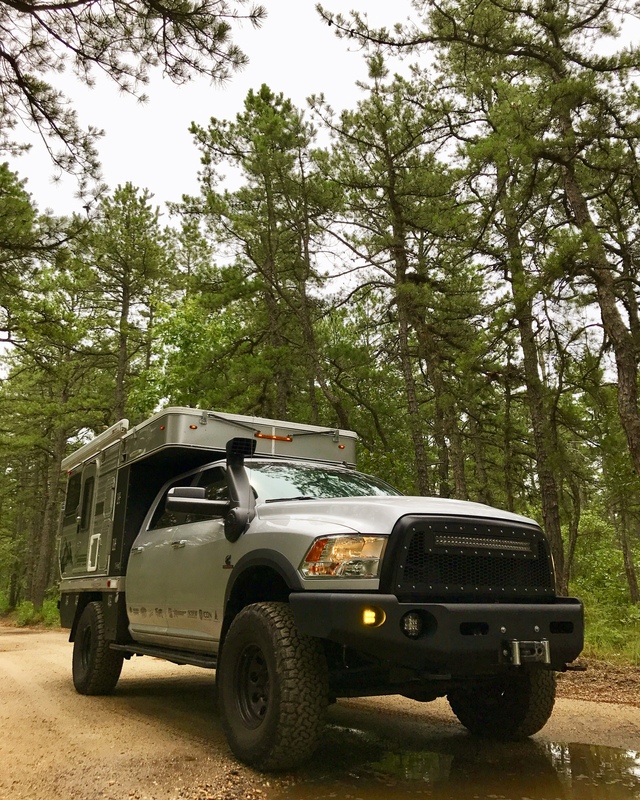 The Pine Barrens are another hidden gem on the East Coast with many forested trails and it’s own unique lore. Leaving the Pine Barrens behind we reached the southern tip of the state and Delaware Bay. As I mentioned earlier, New Jersey really is a “Garden State” and we’ll definitely be back to explore more of it later. 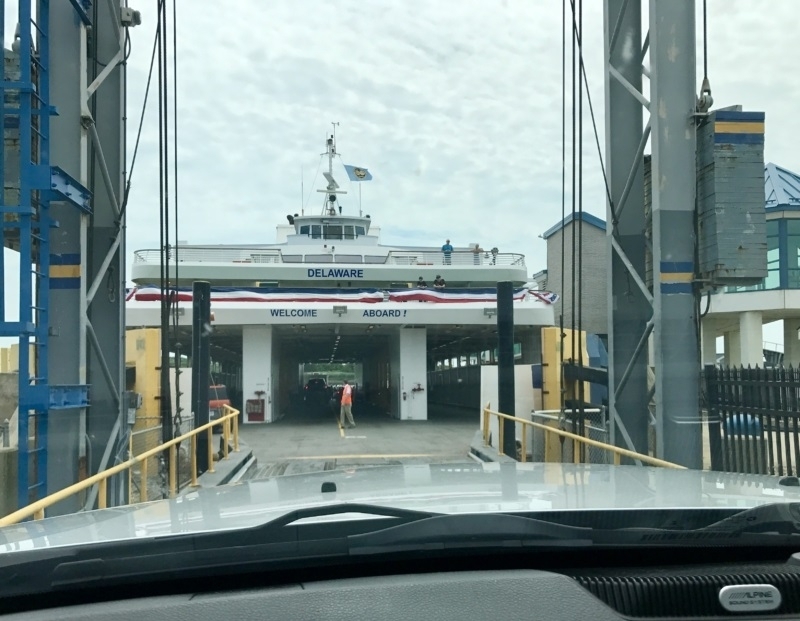 Arriving at Cape May, the Cape May-Lewes Ferry was our first of several ferry rides as we made our way south and the ride proved to be a lot of fun. It was well worth the price to “cheat” the road and take advantage of this coastal shortcut. Once the Torque Wagon was all tucked away inside the belly of the beast we hit the lounge upstairs to relax and take in the sights as we crossed Delaware Bay. Arriving ashore in Delaware, we proceeded to the nearby Cape Henlopen State Park and Historical Area. For the record, I despise established campgrounds as much as the next guy and it chafes me to pay for camping. 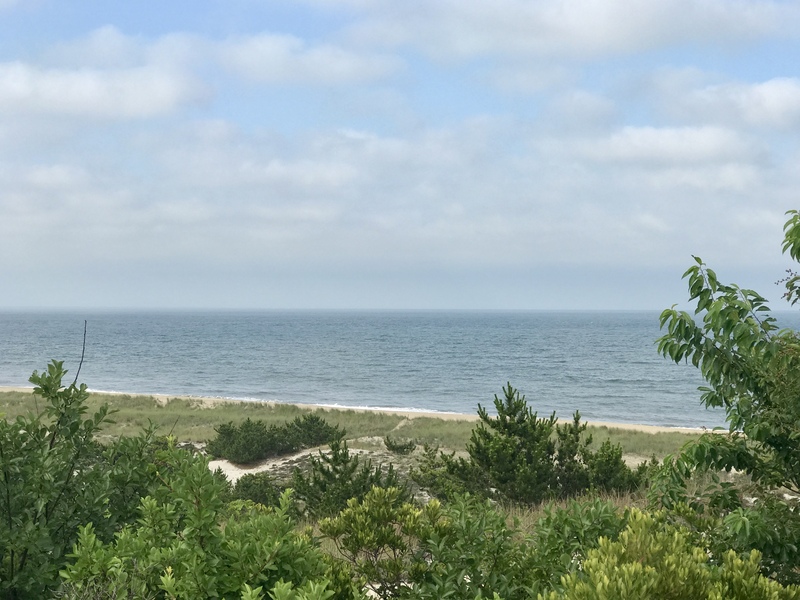 That said, options for “dispersed” camping on the eastern seaboard are quite rare and Cape Henlopen State Park was in the perfect location on our itinerary. This was how we discovered Fort Miles. 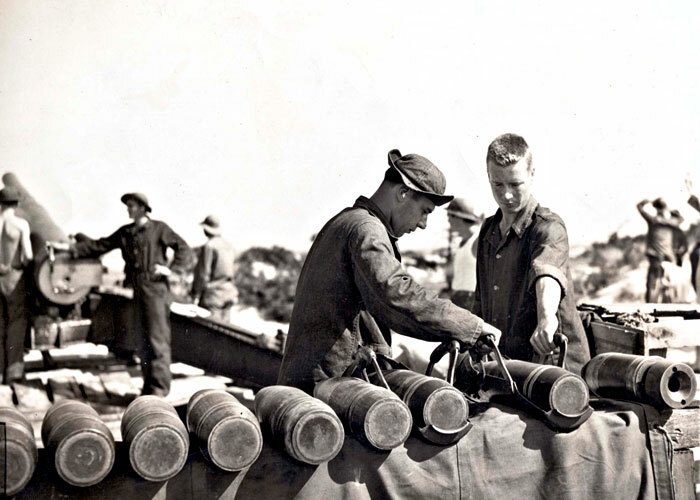 Fort Miles was a key piece of our nation’s coastal defense from World War II through the early 1970’s. 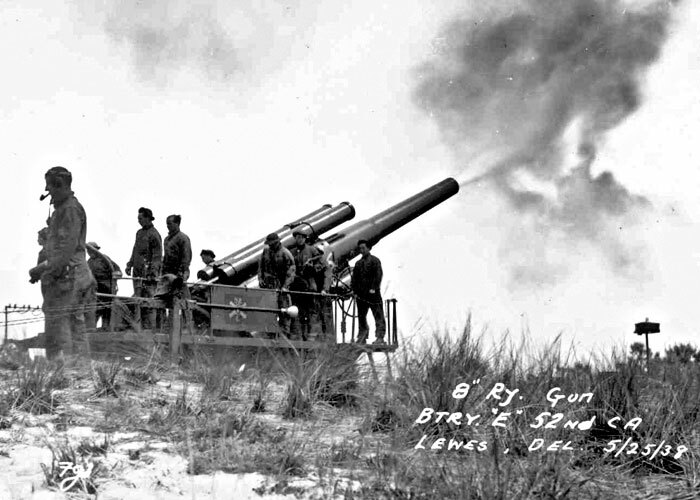 Its dispersed gun batteries and secret installations built within the massive sand dunes of Cape Henlopen were designed to defend against the German submarine threat. 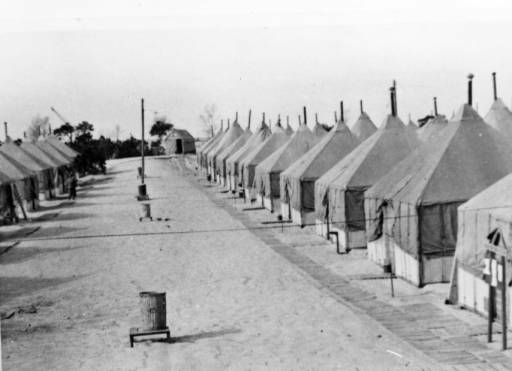 With more than 2,500 soldiers stationed on high alert, the heavy guns, mine fields and searchlights of Fort Miles defended the route to the vital trade centers of Wilmington, Philadelphia, and beyond. 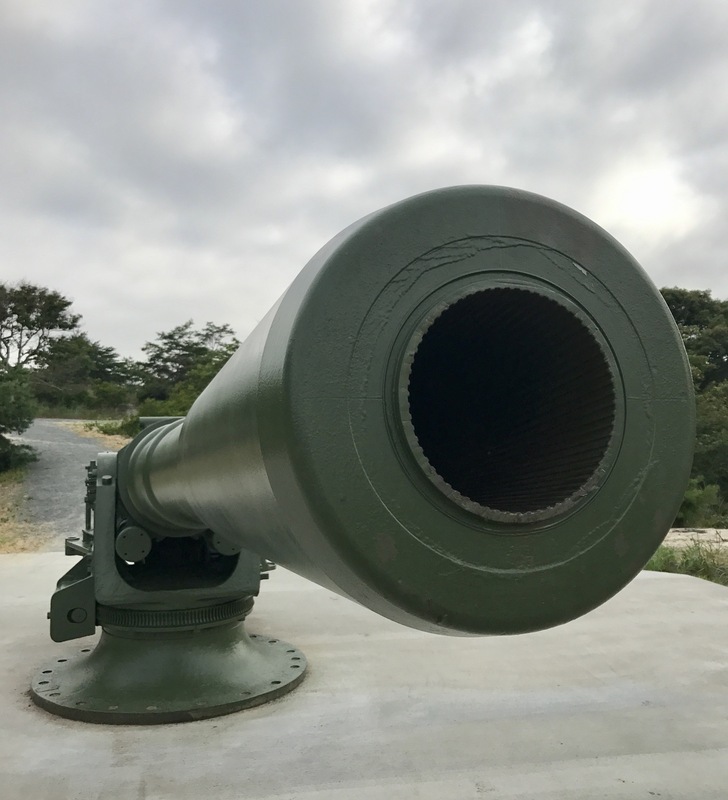 As America moved into the Cold War, the role of Fort Miles shifted to highly classified missions defending against the threat of Soviet submarine operations off our coastline. Eyes and ears were focused on the sea here as soldiers stood the watch in bunkers and atop fortified towers. Several of these silent sentinels remain, towering above the coastal pine forest at Cape Henlopen. This one is located near the campground by the beach and is open to the public. A climb up it’s interior spiral staircase rewards visitors with sweeping views of the Atlantic coastline and Delaware Bay. Dave Bennett is the Founder of American Adventurist, a North America focused adventure travel lifestyle Forum and Independent Magazine. 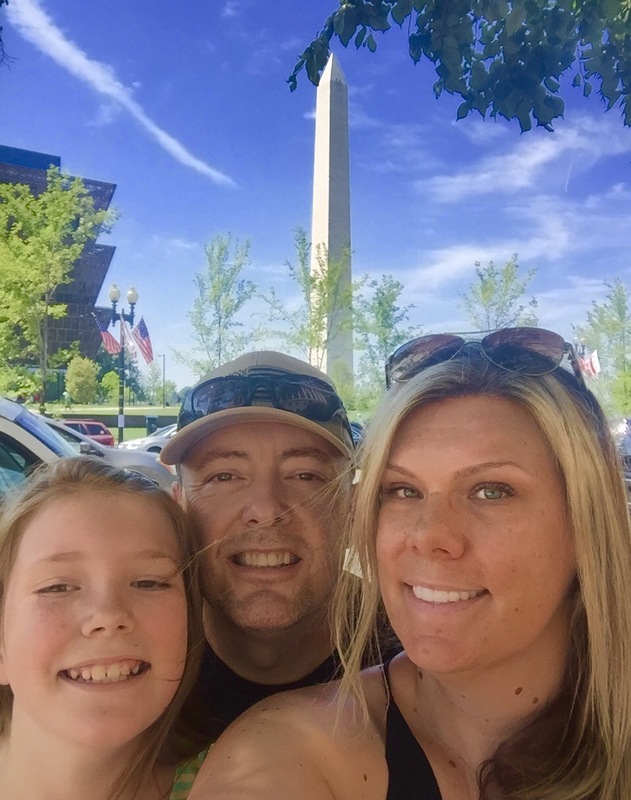 Currently based in the Midwest, Dave is a military veteran and an avid outdoorsman with over 30 years of back country experience in the most remote and challenging environments in North America, Asia, Africa, Australia and the Middle East. Engaged in all facets of remote wilderness travel, Dave is an International 4WD Trainers Association Certified Trainer and a Tread Lightly! Master Tread Trainer. Neat. While I truly appreciate the wide open spaces to be found out yonder across the Plains, there is much to be seen and appreciated on this coast as well. 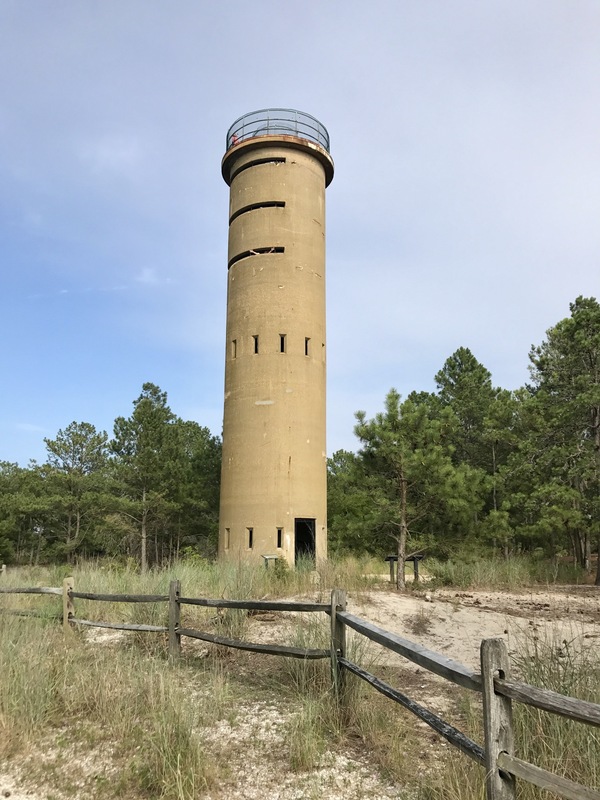 Wifey and I really were fascinated by the towers on Cape Henlopen. There is so much history on the east coast I could lose myself for a solid year just touring landmarks and historical places. It really is fun getting to see them, especially when you stumble upon it the way we did Fort Miles. Thank you for the kind words @Dave. The Clanhold is always open for the Bennett Clan. Awesome! Looking forward to part 2! Nice write up David. Safe travels, rubber side down. If you ever go over enjoy the view while upside down. It is not seen to often. Be safe and have fun.